The modern age is most certainly the digital age. There is no one that would argue with this. That means for any business to continue to be successful, they must find ways to keep up with this digital age. If you are a business and you are stuck in the past, then you may get left in the dust. You cannot afford to let the competition come across as more professional, more modern and more up with the times than you. This is why it is so important for you to make use of such things as digital signage. There may have been a day when a sign was simply a sign. That is no longer true. Now, a sign can provide helpful information, important details, and even methods of advertisement for your company. If you choose to make use of digital signage, then it is important that you know this sign has to be used to the best of its ability. If you just put one thing on the sign, it will not draw attention and it will not be serving its purpose. You need to make sure people notice the signage, and therefore notice your business. This is when dynamic information comes into play. 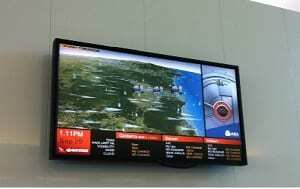 When you make use of dynamic information, you can use the digital signage in numerous different ways that can be quite helpful to customers. Social networking may have started out looking like a passing trend, but this is no longer the case. These days, millions of people sign into social networking sites each day. What began as a way to get in touch with old high school friends or as a way to let people know where you are has now become a booming business for individuals, companies and more. You can make use of digital signage and social networking together. When you make use of dy-namic information on that digital signage, you can do all sorts of things. For example, you could make use of social networking sites like Facebook and Foursquare that allow people to check into locations. When they choose to check in at your business on one of these sites, the digital signage can be set up to offer a personalized welcome message. Twitter is a very unique social networking phenomenon, but it seems here to stay as well. When customers tag your business in a Twitter post, you could have their positive or fun comments posted on the digital signage. This will accomplish two things. For one thing, this will get people more in contact with your business’ social networking page and this is a good advertisement. In addition, they will enjoy getting noticed when they check in, so they are more likely to visit your business just for that. Each time they check in, all of their friends will see your business name as well. This is a good way to get a great deal of attention. Sometimes, there may just be changing information for your company that you will need to make your customers aware of. If you have a traditional sign, you will have no way to update your customers on a regular basis. This can be quite a frustration. The dynamic information that you can display on your digital signage will most definitely solve this problem. There are many different types of pertinent information you could display, like expected wait times at your place of business or the featured items for sale or available to customers. You can even use the dynamic information to display current events or media mentions of your company. When your customers feel that they can get useful information through an updated sign at your company, they will feel they are getting a more professional experience. With standard signs, you may not be able to update them at all or you may only be able to update them every once in a while. In situations like that, customers will only be able to get outdated information and this is not a professional image at all. Another great way to use dynamic information on digital signage would be to provide local-ized or generalized statistics. For example, you could program the signage to update the local weather on a regular basis. Many customers like being able to know the weather. There are oth-er types of basic information you could provide as well. If your company is involved in the stock market in some way, then you could display an updated stocks ticker or an updated display of one specific stock. You could even display sports scores, headline news trends and more. While this may not specifically have to do with your business, you are still doing a service to your customers. Your customers will appreciate having access to the information and this will draw attention to your company. You would be surprised at just how much advertising you can gain for your business just by providing these updated or generalized statistics. This is just an-other way to show that your business is up with the modern age and doing everything they can in order to be of service to the customers. In today’s world, it is all about competition. If your business does not stand out among the competitors, it will be very hard for you to continue gaining customers. People will choose to go elsewhere. One of the best ways to stand out will be to show that your company is up to or above the standards of the digital age. A company cannot just depend on a pen and paper anymore. Now, digital signage is definitely something that must be considered. When dynamic information is displayed, you can keep that signage up to date and informative. Whether you choose to advertise your company directly or to provide helpful information, this will still provide a better customer experience. Dynamic information is easy to display and easy to update as well so it will take little work on your part.